Why Should I Replace My Voice And Data Cabling? Voice and data cabling needs far more attention today than it used to; and faulty network cabling can cause your whole telecommunications system to slow down. 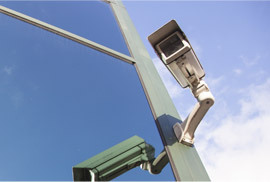 We provide a variety of voice and data center cabling options including state-of-the-art phone systems, VoIP and more. We also offer a variety of cabling options including CAT 5 and USB data cable. Make certain that all of your data and cabling needs are met let San Tan Communications design and install a business phone system that works for you. If cabling for your network has been an issue for you in the past, start fresh with the help of San Tan Communications. 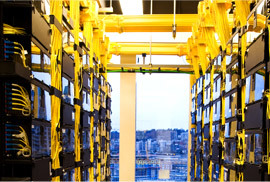 Is your data center working as smoothly as it could be? 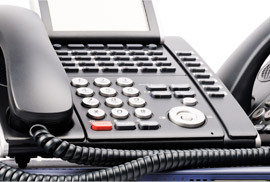 Are your business' phone systems making the grade? If you answered "no" to either of these questions, San Tan Communications encourages you to look into your voice and data cabling system to see if upgrading might be a viable option. We're committed to providing our clients with world-class products for their businesses. As professional telecommunications specialists, we want to remind you of the importance of making sure your voice and data systems are performing at optimum levels. Our experts will make sure your network cabling components are working well and can troubleshoot any potential problems before they happen, ensuring your network retains the speed you need to compete in today's fast-paced business world. Interested in our DATA CABLING. Please fill out the form below.